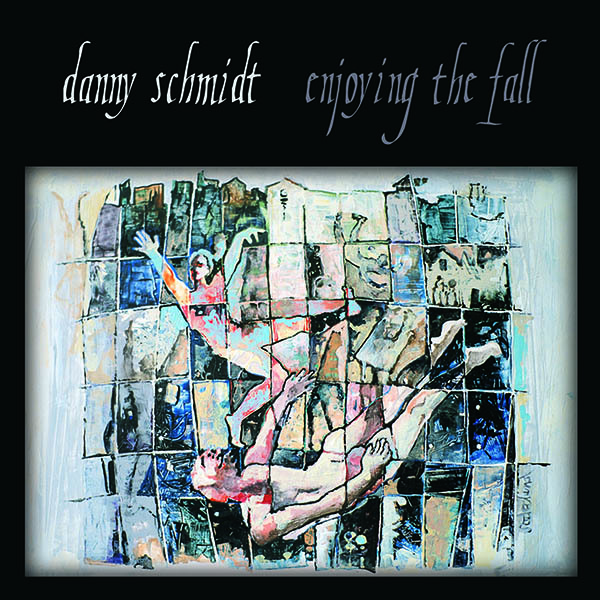 Enjoying the Fall is Danny's first studio production, and is the followup to his debut album, Live at the Prism Coffeehouse. The production and orchestration is much more eclectic and varied than the live album, as one might expect from a studio project, but it picks back up with the bittersweet themes right where the first one left off. In fact, the title, which is taken from the line: "C'est la la vie don't say it all, like catch the wind or enjoy the fall" encapsulates the bittersweet mood and the statement of the whole album -- that you've lost half of your life if you can't look into the eyes of sadness and fear and anger and hatred with the same compassion and awe with which you look into the eyes of beauty and love and joy and contentment. Somewhat of a departure with this album, is that Danny takes a more political and outward look on these struggles to integrate the good and the bad of life's experiences. From God's Love of Man, a song about a gay-bashing incident, that warns the church that if they're not true to their word about love, then their whole theological framework will come crashing down, since it's based on those same tenuous words. To Sometimes a Friend, which is a sympathetic telling of a serial killer's plea to a judge, trying to explain why a death sentence might kill the man, but not touch the disease. To Columbine, which refuses to blame anyone, while also refusing to excuse anyone, for the school shooting -- just a simple acknowledgement that something ain't right. To Tennee, Mama, and Desiree, the story of finding peace and forgiveness towards those who've hurt us most -- even if that forgiveness comes in the form of a letter found by the roadside intended for someone else. This is a collection of moral takes, portrayed in a non-moralistic way. The words of a court reporter more than a judge. Like the first album, there are still some very personal takes on this album. Most notable is These Ain't Tynan's Blues, the song from which the album title was taken, which tells of waiting outside, feeling VERY far away, while an ex-partner is in labor, birthing her first child -- the one they'd dreamed about having together, but could never come to a stable enough place to try. Lamenting the sometimes burdensome freedom of being single. The production style varies greatly from tune to tune on Enjoying the Fall -- from very minimalist takes of These Aint Tynan's Blues and Ten Penny Nails, to very lush thick orchestrations of Tennee, Mama, and Desiree and Drunk at the Biltmore. Joia Wood's haunting harmonies are scattered consistantly throughout the album, as are Bill Cardine's dobro lines. Other musicians who joined Danny in filling out the tunes are: Christan Hubbard on mandolin, TJ Johnson on mandolin, Paddy League on bodhran and percussion, Philip St. Ours on washboard, Zach Blatter on bass, Peter Markush on cello, Rolland Colella on fiddle, and Paul Curreri on harmonies -- each with their own impressive list of musical credentials around the Charlottesville area, and beyond. And the whole thing was produced by Danny himself, which he says: "Is what you do if you're stupid, or broke." Well, there's a rather verbose introduction to Danny's second collection of tunes. We invite you to check them out -- listen to a few and read the lyrics. Hope you like them.